Yesterday you saw what my sister made us for Christmas and now here is what we made her. It took a lot of tries to make anything that a) would turn out b) that she would like. Most of this all came together the last week before Christmas. 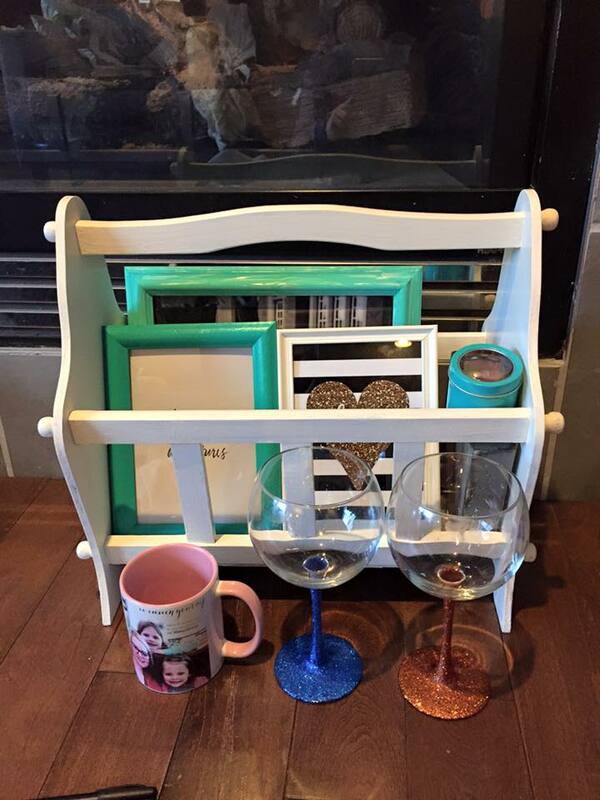 I packaged everything up and put it in this old school magazine holder I painted white to match her end tables and coffee table. I figured she could use this for magazines, books or even a blanket would look cute. The coffee mug was made by London Drugs but I did take the photo of her with the girls that is on it so that counts right?? The teal container was purchased at Michaels but it contains some earrings that I made for her. 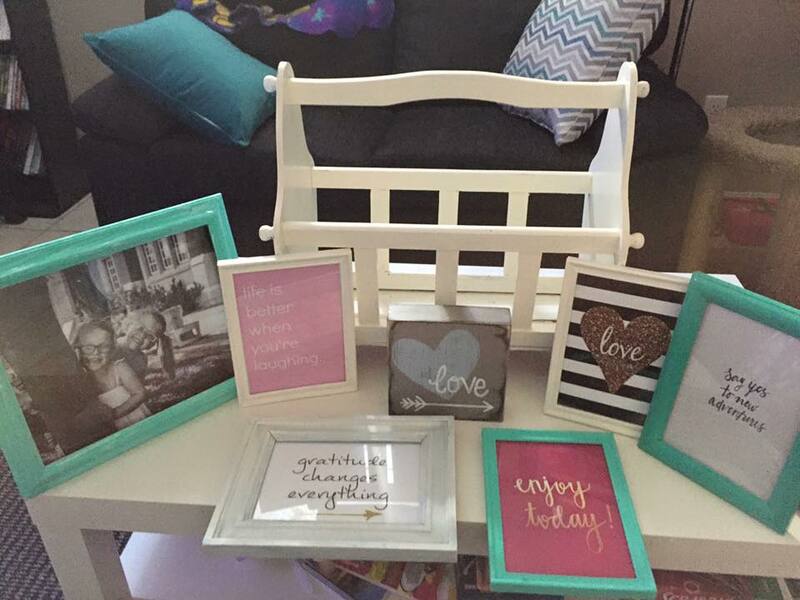 Inside the magazine rack was some frames that I painted and prints that I printed for her. The grey love block in the middle with the blue heart was not done by me. I am not that talented. It was done by a friend of mine and she made me one and I loved it so much I had them made for my mom and my sister too. 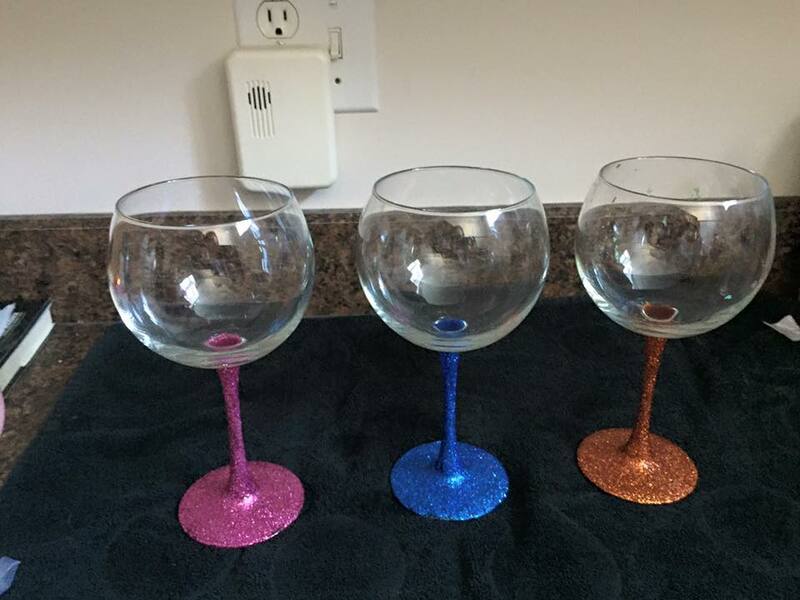 I also did these glitter wine glasses. I originally just did the Oiler ones too but added a pink one because it was pretty. 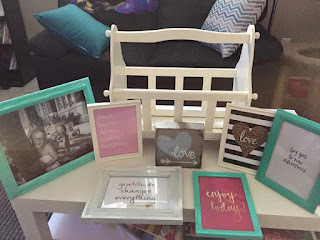 These are so easy to make and I will have a DIY tutorial on my blog shortly for these. I had tried the sharpie paint markers and paint on both wine glasses and coffee mugs with no success when I thought about doing these and they turned out so well. This photo is Greg's diy Christmas gift for Kristy but he only did the cutting board turned recipe book stand. We had wanted to do an iPad stand but we couldn't find one that was large enough for Kristy's since she has the original iPad. I have an iPad mini and it works pretty well for me. 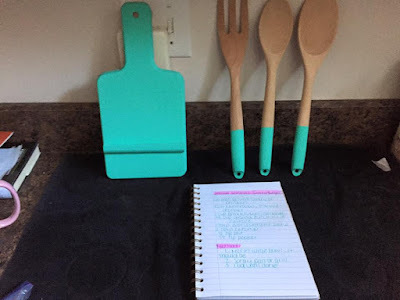 I painted the utensils for her because I thought it would be cool and I saw these on pinterest and loved the idea. I might have to do these for myself haha. The recipe book I actually started in early November even before we decided to do homemade gifts as I thought it would be a cool gift. It contains new recipes, recipes she has had at my house and favourites that we grew up with. 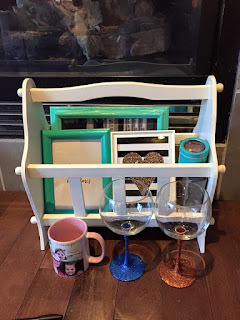 We plan on doing DIY gifts next christmas too and I can't wait. I think a good portion of my gifts next year will be handmade which means I should probably start now if I want to get them done on time hahaha.